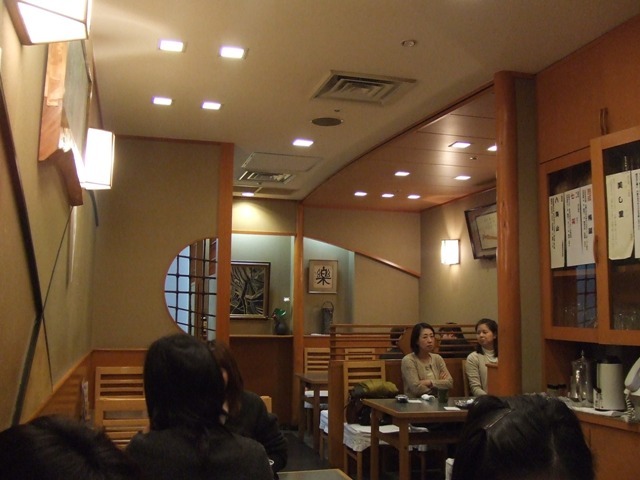 When there isn’t so much time for a lunch time, and there are few people waiting, this Japanese restaurant is good. They take orders and serve food quickly. 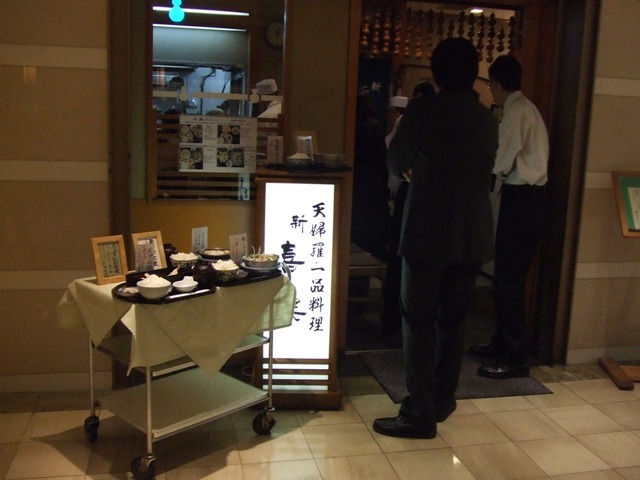 “Shin Kiraku is a popular place for businesspersons working around western part of Umeda (Kita Area). It is on the basement of Hilton Plaza East Building. It’s a tempura restaurant. My favorite. 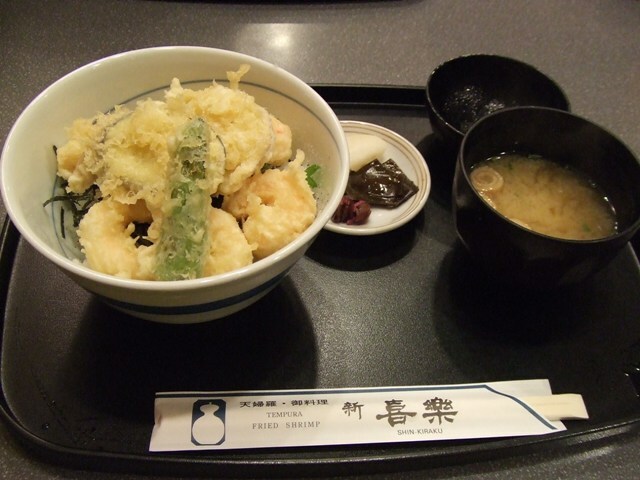 So I had combo of tempura on rice in a bowl, miso soup and pickles. It was 880 yen or so. 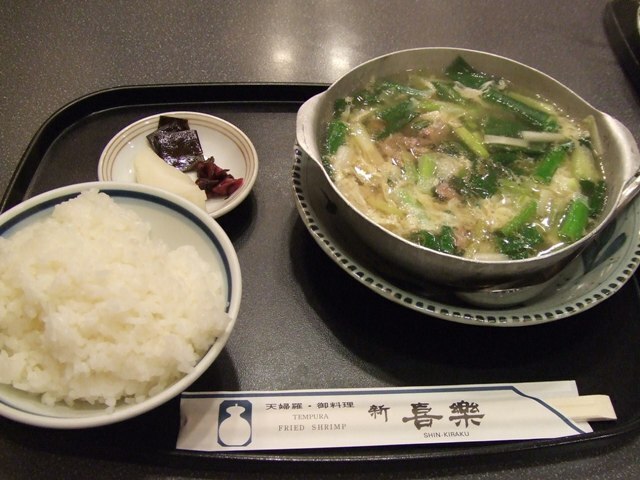 Other dishes are good, too. 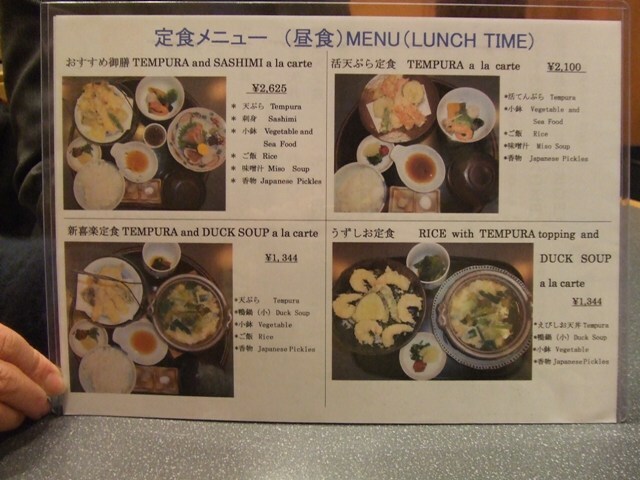 There is an English menu here! 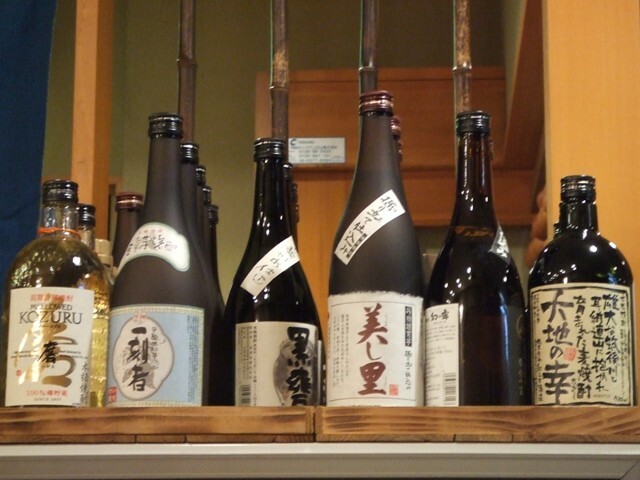 At night time, I guess people may come here to relax and drink sake.